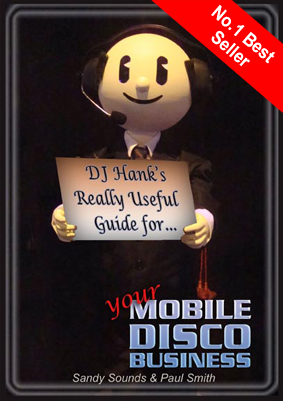 This time we make a start on the topic of marketing your Mobile DJ Business by looking at some existing advertising methods and your Return on Investment (RoI) from them. It was about 100 years ago that John Wannamaker said "Half the money I spend on advertising is wasted - the trouble is I don't know which half". In our industry, and with the information available to us in 2009, I don't think this applies any more and certainly shouldn't to Mobile DJs. Let me try to qualify this last comment. It's easy for us to ask our potential clients "How did you hear about me? ", or to incorporate the question into an enquiry/booking form. Anyway let's start by taking one popular area of marketing used by DJs for this issue. I've just saved over £200 by changing my 2 PLI policies over to you and then contacting your broker directly for my equipment insurance. I had been paying over £400 a year, it's now less than £200 and the policy levels are higher too! We have priced membership at a level that makes it possible for all Mobile DJs to possess PLI. Our enquiry sites are now on page one of the search engines for over 250 of our key search phrases!